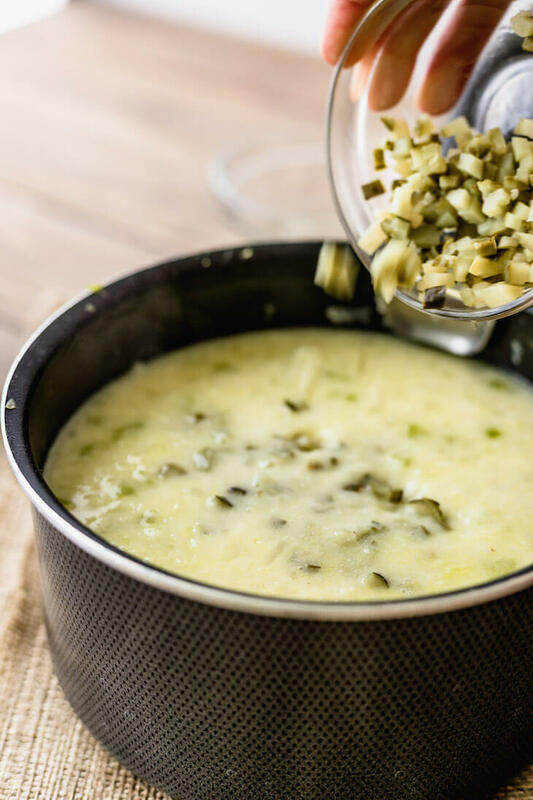 If you’re craving carbs on your keto diet, look no further than this keto soup recipe, made with actual pickles! 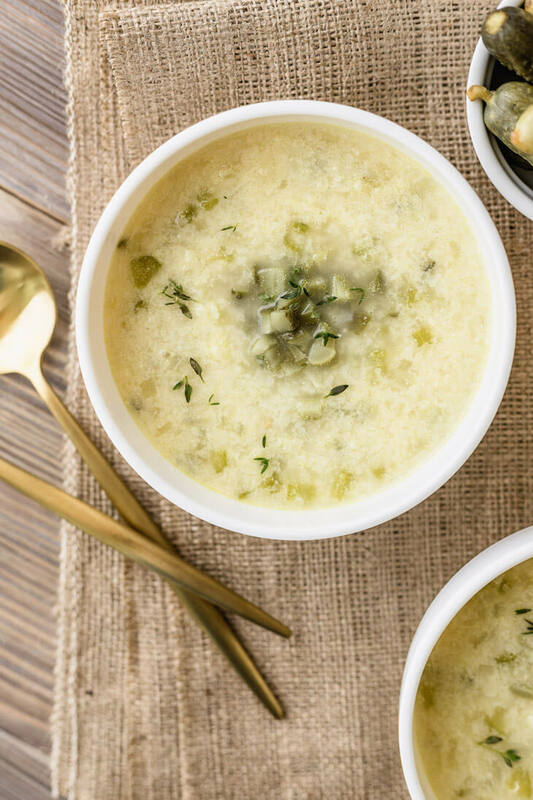 The saltiness of the pickle brine mixed with the creaminess of the soup makes for the perfect craving buster! 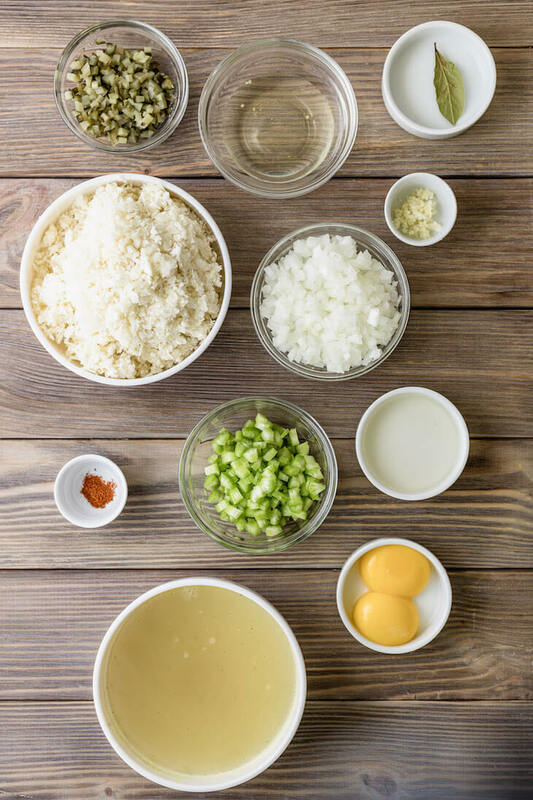 I never cared much for soup until I became an adult and realized far less energy is required to make soup than just about any other keto recipe out there. I can have a batch of keto soup made in under 20 minutes, start to delicious finish. Talk about a quick keto meal! And, packed with ingredients that encourage fat burning. You read that right! 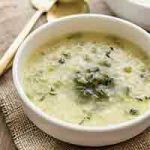 Using a high-quality bone broth in your keto soup recipes increases the glycine content, an amino acid that helps the body breakdown fat. The key here is to use high-quality bone broth that is rich in glycine. Combined with the oil of your choice like coconut oil, avocado oil, or ghee, and you’re boosting your fat burning with every sip you take. As you work to become fat adapted, you may find that you crave carbohydrates once and awhile. This is a natural response, but knowing that fact doesn’t totally help you in the moment! What can help, is eating pickles! The saltiness can help sooth your longing for carbs and overcome a carb cravings easier than just ignoring it. That’s why I love this soup so much! And, because pickles are so inexpensive, using pickles in your dairy-free keto recipes is a great way to stay on budget when planning out your keto diet meals. Overcome Keto Hurdles, Free Events! Before we get to today’s keto recipe, I have news! I’m hosting various virtual book readings this month through June where I’ll be reading from my paperback books, The Keto Diet Cookbook and Keto for Women plus answering your keto questions. Attendance is free. All you have to do is follow me on Instagram and watch for the alerts to join live! I’ll be jumping online at various times throughout the week, so I’m sure you’ll be able to catch one of the fourteen events we’re planning. If you don’t do Instagram, you can also watch for the live events on my YouTube channel. 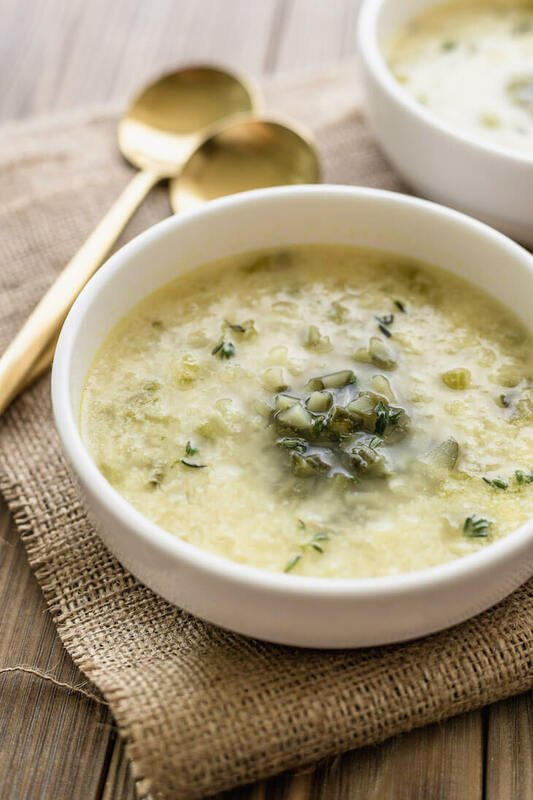 An easy keto recipe that helps you bust through carb cravings, by adding pickles to your soup! Super creamy, delicious, and dairy-free. Pour the avocado oil into a large saucepan and heat over medium heat for 1 minute. Add the diced celery, onion, and garlic. Sauté until the onions are translucent. 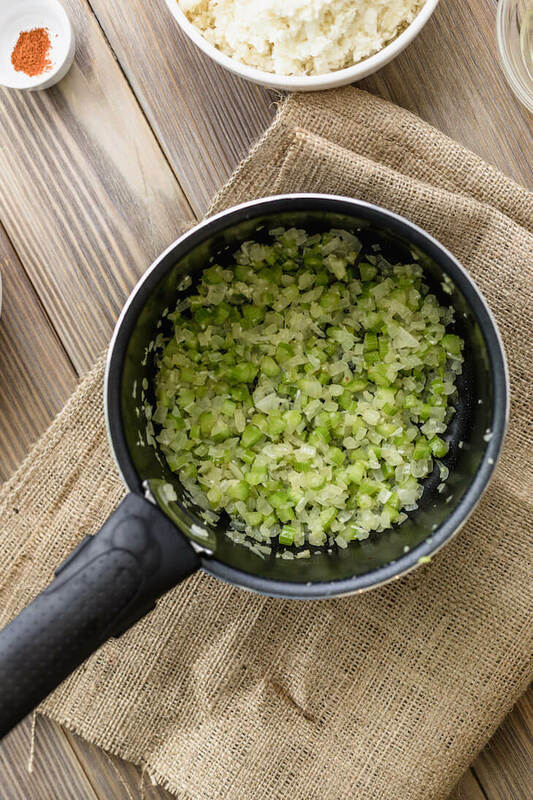 Add the stock or broth of your choice along with the roughly chopped cauliflower florets, bay leaf if using, sea salt, and cayenne pepper if using. Cover, bring to a boil, then simmer for 10 to 15 minutes, or until the cauliflower is soft. 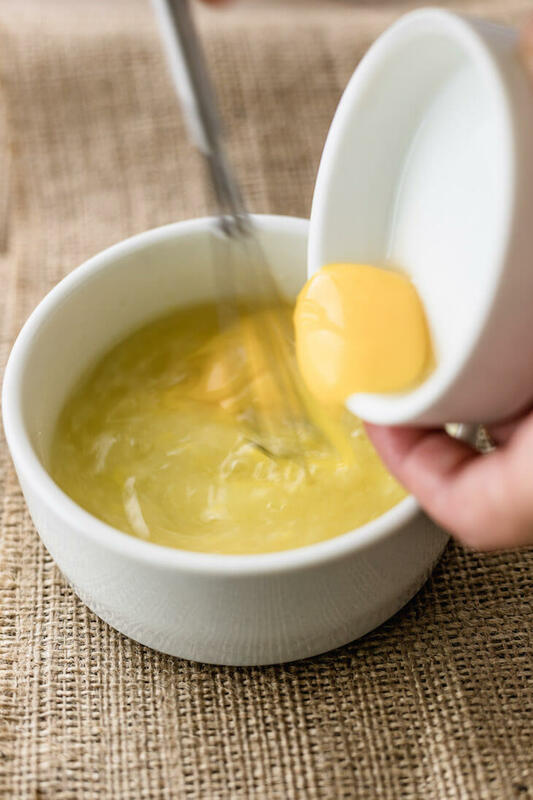 Using a ladle, remove 1 cup (240 ml) of hot broth from the soup, and place in a small bowl. 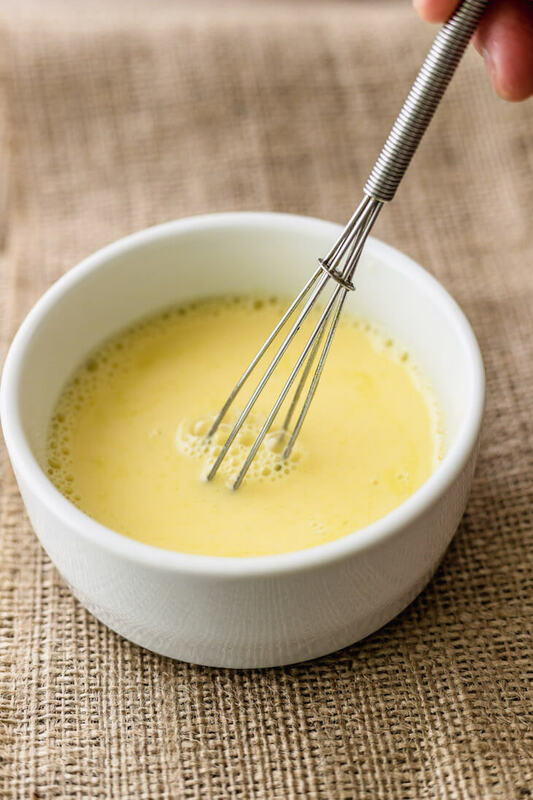 Add the yolks to the broth and whisk until incorporated. Then, slowly pour the yolk mixture back into the saucepan stirring the soup while doing so. 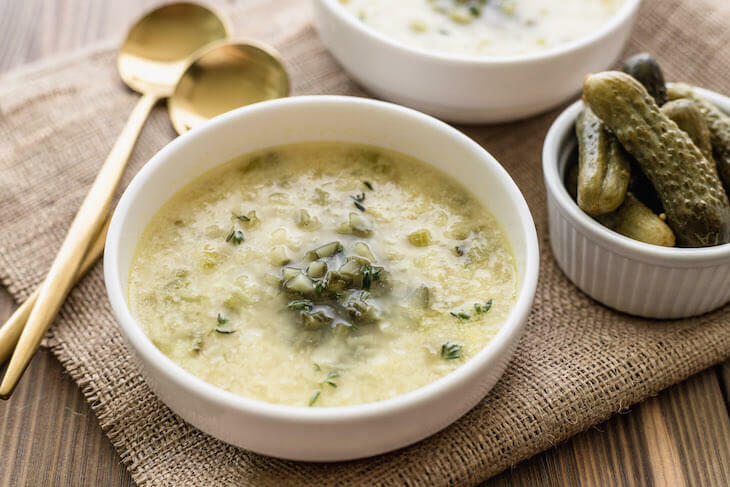 Add the finely diced dill pickles and pickle brine to the soup, cover and bring to a simmer before dividing the soup between four serving bowls, topping with fresh dill, and enjoying. 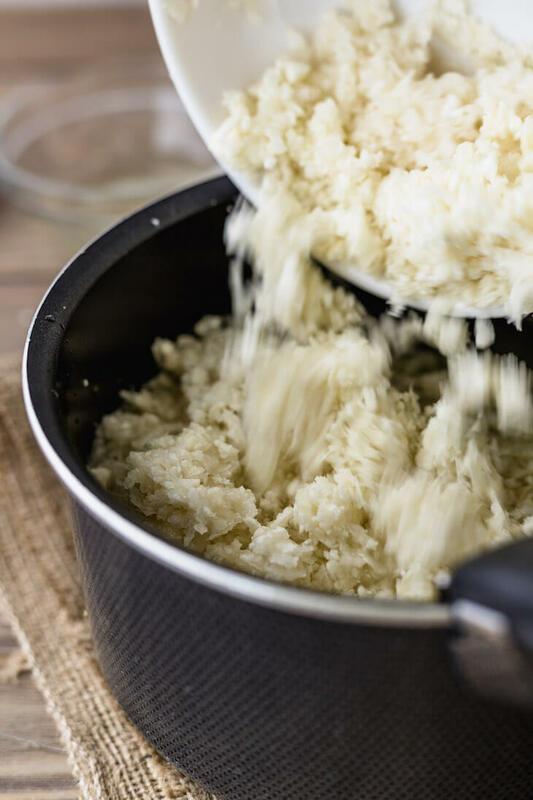 To grate the cauliflower, use a cheese grater, blender, or food processor. Alternatively, in place of the cauliflower, you could use 1 small rutabaga peeled and cubed into ½-inch (1.25 cm) pieces. What little tricks do you have for overcoming carb cravings on your keto diet? Snap pics of your favorite carb-busting strategies on Instagram and tag me @healthfulpursuit. I love seeing the amazing things you guys create!